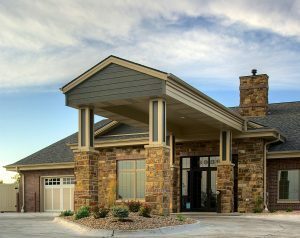 Our next featured blog property is The Waterford at Wilderness Hills. 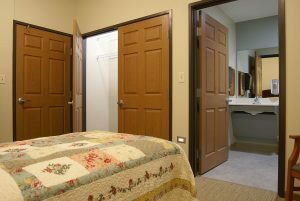 Wilderness is one of our more unique properties, as it is solely focused on memory care. 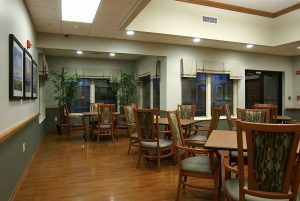 At Wilderness Hills we specialize in “skilled, individualized personal care” for residents with Dementia or Alzheimer conditions: memory impairment, disorientation and behavioral redirection. Our priority is a safe and secure environment above all and we truly feel it’s where home is for your loved one and for us, as well. We understand. As a matter of fact, we more than just ‘understand’, we feel your pain and empathize with your concerns. Watching someone you care so deeply about fade into another reality is excruciatingly painful. It’s part of life’s journey, but sometimes we have great difficulty processing the outcome. Too often those who cared for us all of their lives are now in need of our care. Sadly, most families are not able to provide that level of care. 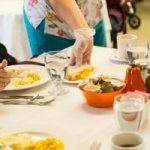 While we can’t control the process of dementia, we will do whatever we can to ensure comfort and safety. It might be the least we can do and we take this responsibility very seriously. Please reach out, if you think this might be the community for your loved one. We’re here to help, answer questions and are more than happy to schedule a time to chat or tour the facilities with you. You can also visit the Wilderness Hills page on our website to learn more and see more, including a virtual tour.